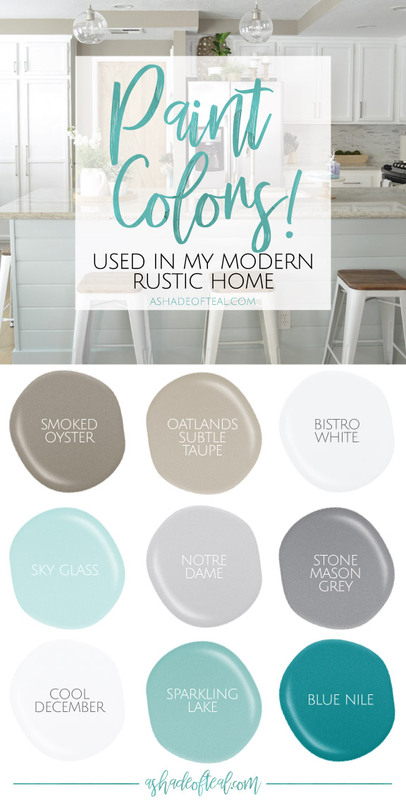 Paint Colors used in my Modern Rustic Home! 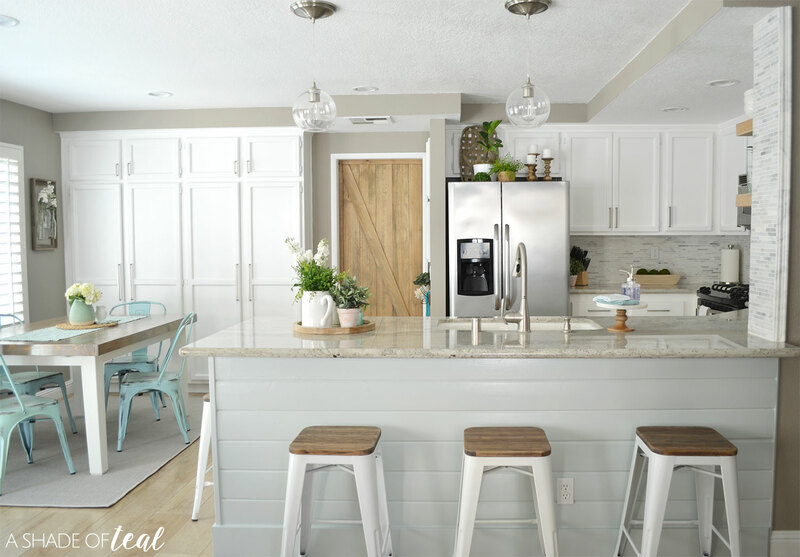 Ever wondered what paint colors are used in my home? 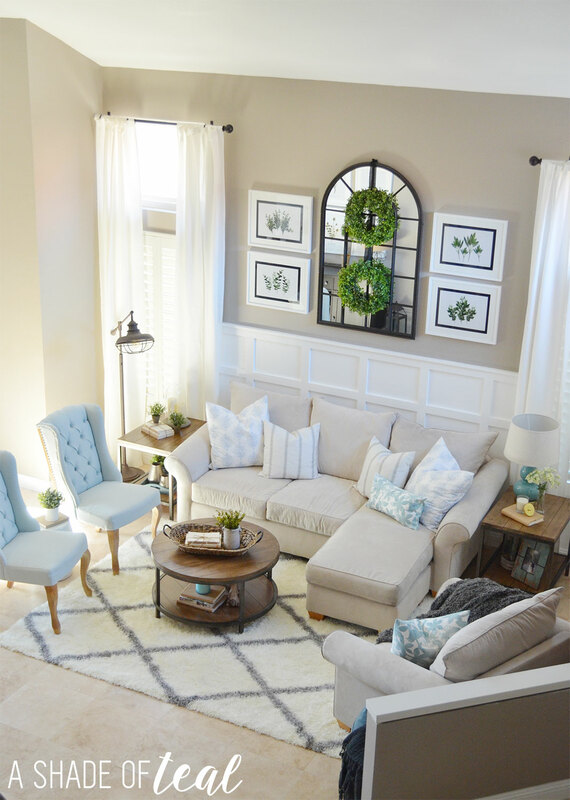 Well you can find all my paint colors in this post! 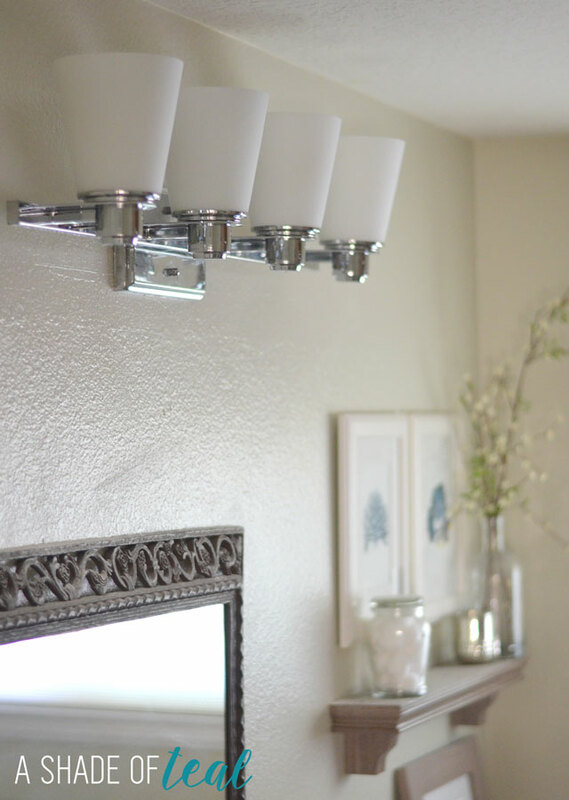 I’ve been wanting to write this post for sometime since I do get asked what paint color I used all the time. Plus, having everything written down in 1 place makes it easier for me!!! Here’s each room broken down by color. For the Kitchen island I used SKY GLASS from Dunn-Edwards. It’s a perfect soft aqua color. You can see more of the space HERE. For the Kitchen cabinets I used COOL DECEMBER from Dunn-Edwards. It’s a white color that has a cool effect to it and actually hides some dirt since it’s not a true bright white. You can see more of the space HERE. My Office walls I used NOTRE DAME from Valspar. It’s my absolute favorite light grey color! You can see more of the space HERE. I also used BISTRO WHITE from Valspar on the faux shiplap walls. At the time is was extra white paint I had lying around, but the color is pretty similar to my kitchen cabinets. 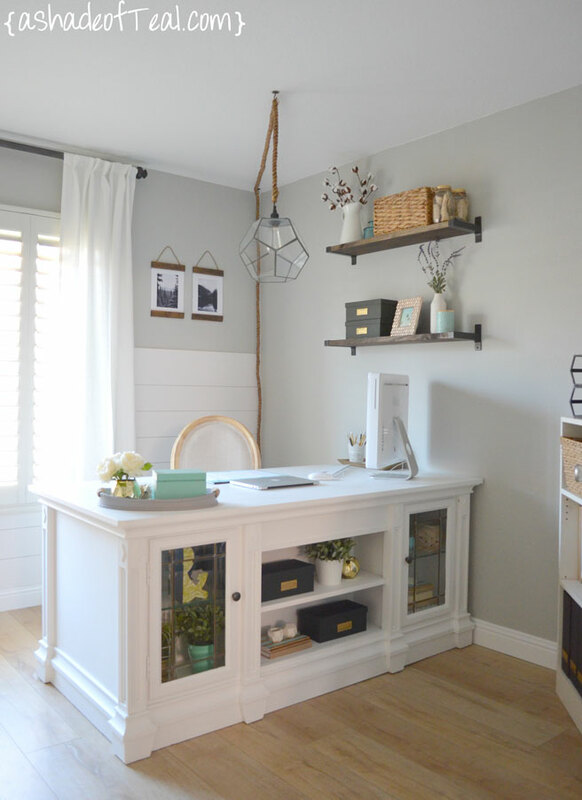 You can see how I installed the Faux shiplap & more of the space HERE. My downstairs guest bath has been a couple colors since we moved in, but the current color is SPARKLING LAKE from Valspar. 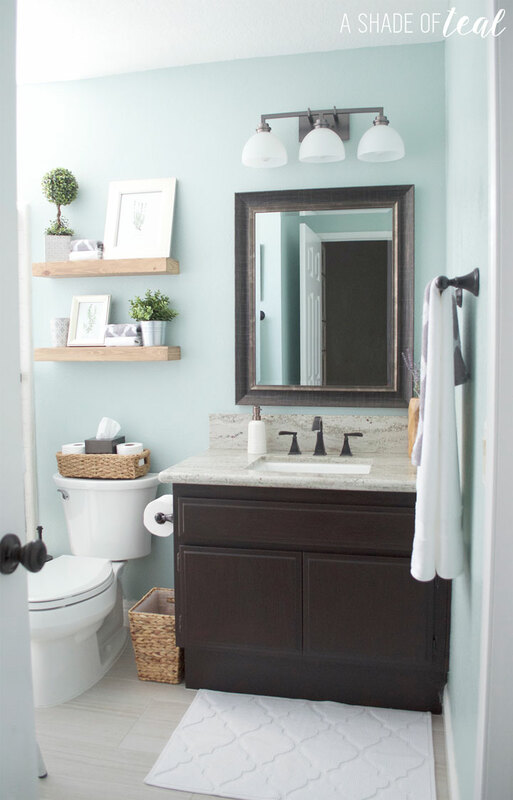 The bathroom only has 1 small window so it’s a pretty dark space, but the color is perfect since it brightens up the space. You can see more of the space HERE. My living and dining room are painted in my favorite Greige color, SMOKED OYSTER from Valspar. It’s also the color that’s used on most of my main walls throughout my home. You can see more of the space HERE. 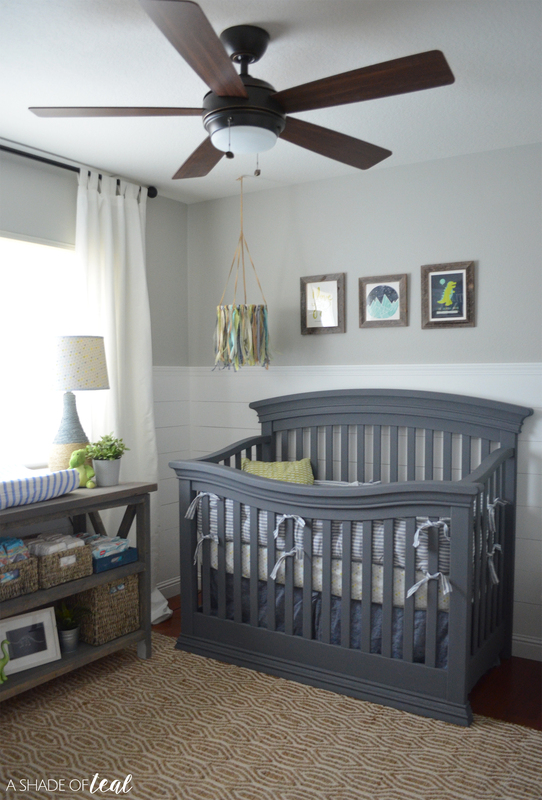 The Nursery is currently a Boy’s Nursery, but the wall paint colors have remained the same since it was my daughters Nursery. For the Grey walls I used NOTRE DAME from Valspar. 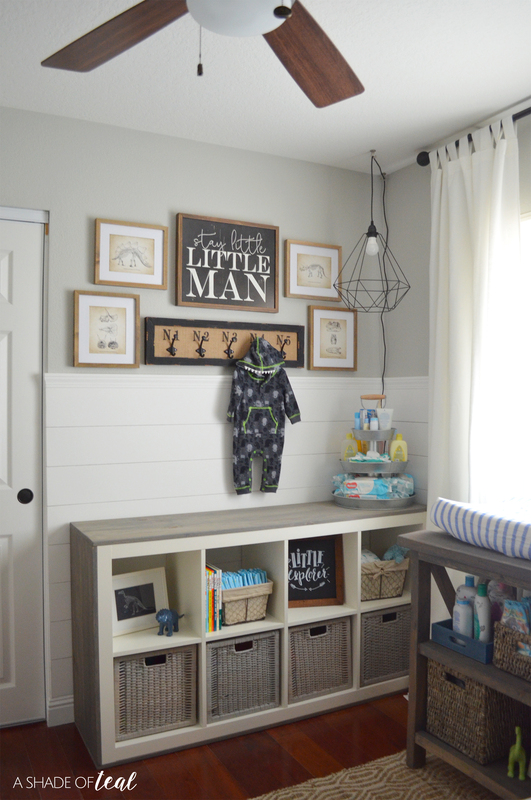 You can see more of the Boys Nursery HERE or the Girls Nursery HERE. I used BISTRO WHITE from Valspar again on the faux shiplap walls. You can see more of the space HERE. My Girls room went from being my oldest “Big Girls Room” to now a shared bedroom. The wall paint has remained the same with NOTRE DAME from Valspar. 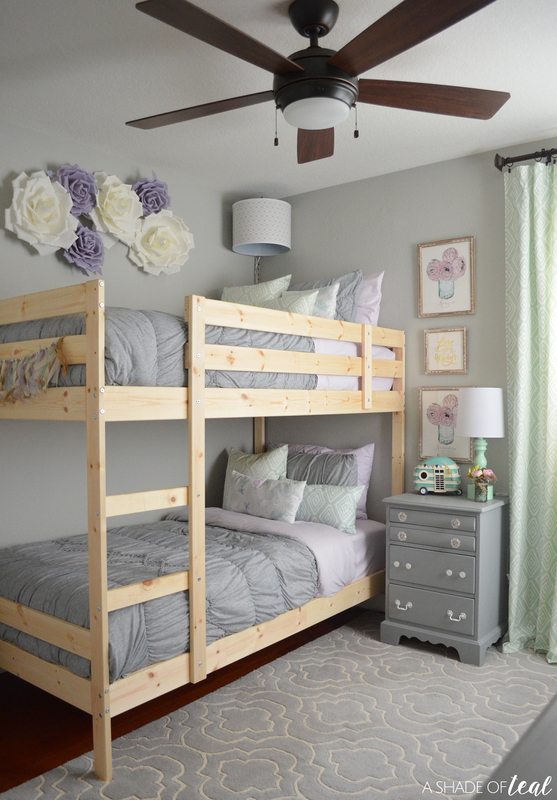 You can see more of the Shared Girls Bedroom HERE or the Big Girls Room HERE. My Bonus Room isn’t complete, but I have finished the TV and feature wall. 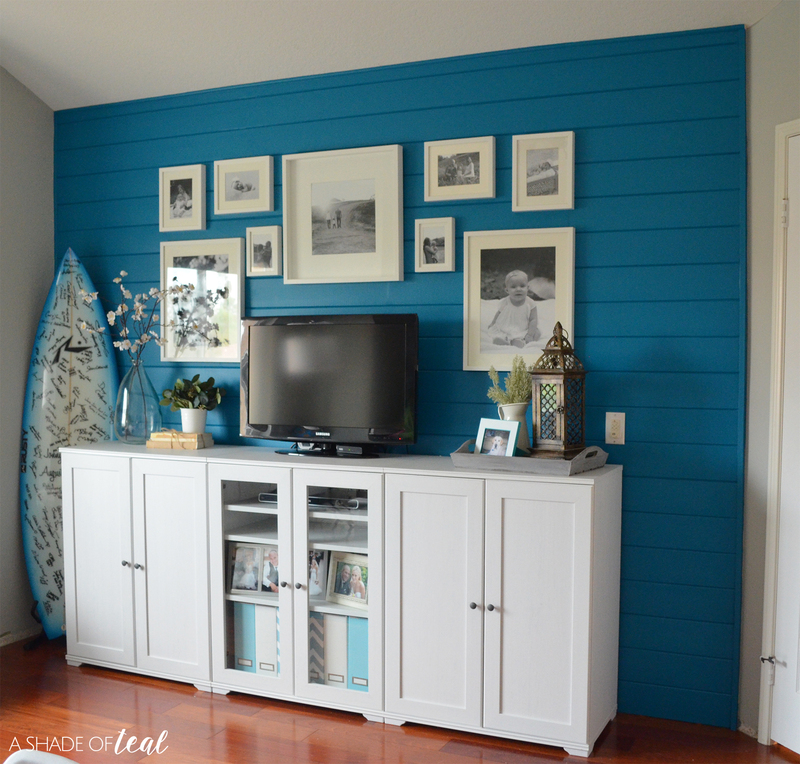 For the Teal accent wall I used BLUE NILE from HGTV Home by Sherwin-Williams. You can see more of the space HERE. For the grey in the room I used STONE MASON GREY from Valspar. It’s more of a medium grey compared to Notre Dame. My upstairs hall bath is another greige color. It’s a little lighter than Smoked Oyster which was used in most of my home, but the bath color is OATLANDS SUBTLE TAUPE from Valspar. You can see more of the space HERE. The exterior side of my front door is SEAPORT from Dunn-Edwards. You can see more of the initial painting of my front door HERE. 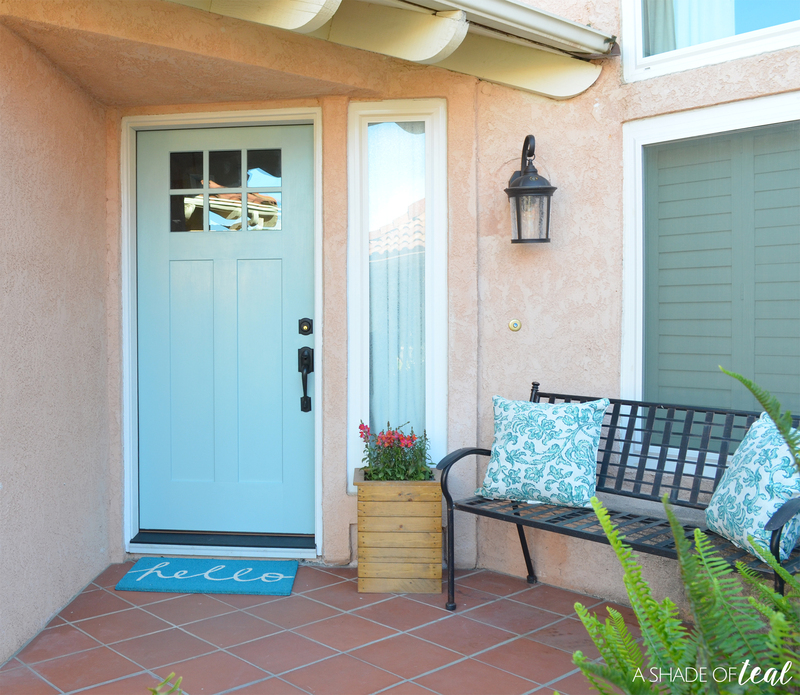 Or you can see more of my new front door makeover HERE. For the interior of my door I used HIGH-SPEED STEEL from Valspar. 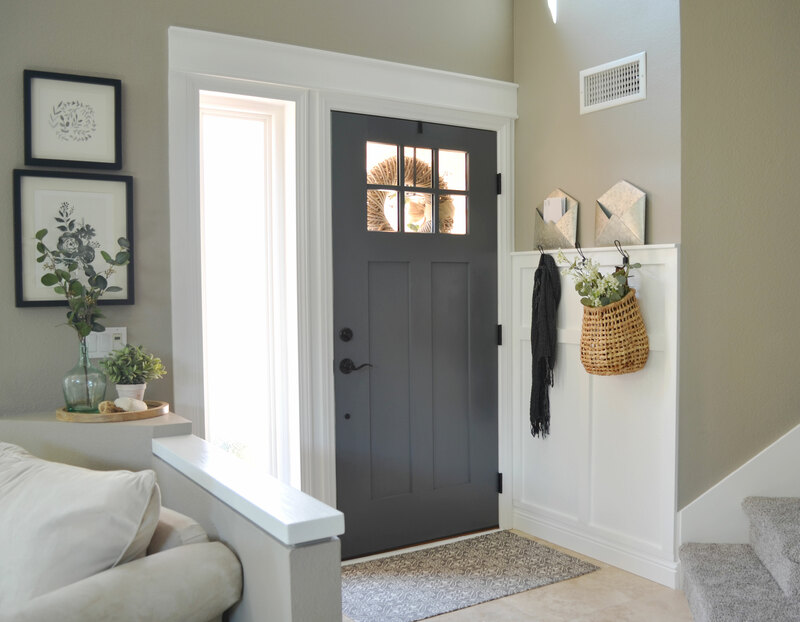 It’s the perfect shade of charcoal grey and it pops beautifully off of the white trim. That’s it for all my paint colors, I hope to finish the rest of my home like my master bed & bath and laundry. Till then, enjoy! Great job on the makeover!! Everything looks beautiful! 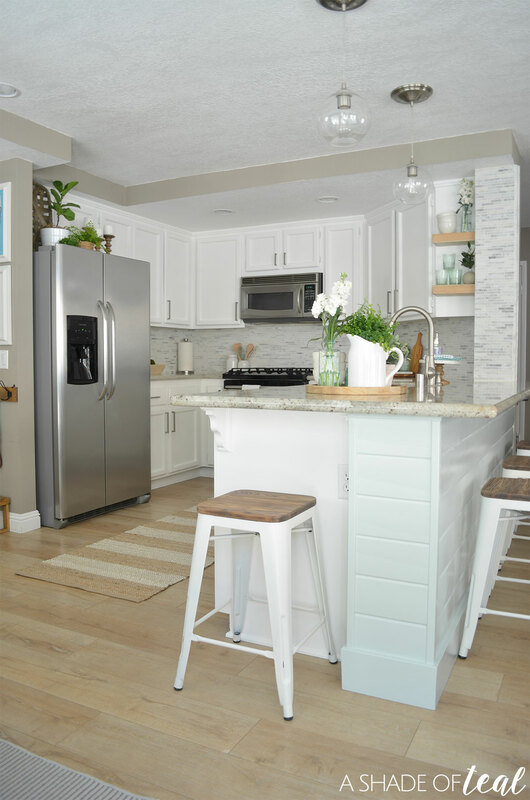 What is the paint color in the kitchen area? Is it Smoked Oyster? What are your ceiling colors?